Apple’s (mostly) hated Podcasts app that launched in the summer last received an update in September, finally bringing iOS 6 compatibility, iCloud subscription syncing, the ability to automatically download new episodes only when on Wi-Fi and more. Earlier today, a new version surfaced on iTunes. Podcasts 1.1.2, an incremental update, includes stability and performance improvements, bug fixes and a few enhancements. Podcasts 1.1.2 is a free download that supports all your iOS devices natively. 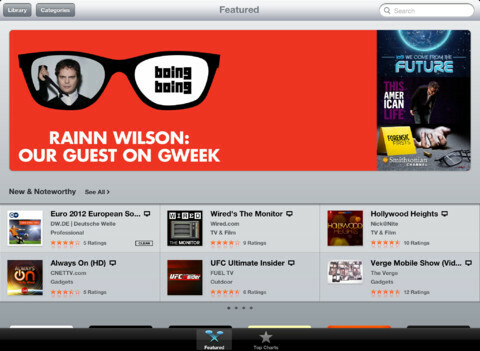 What’s your favorite app for managing podcasts on iOS devices?